The times we live in make us want to escape into another world every so often, even if it's just for a few hours, to shut off from external stimulation. This urgent need to 'get away' is becoming an increasing reality. Even though I am working long hours each day in Bali, my body and mind have welcomed the break from the digital world that has become a necessity in modern life. We schedule everything for work and family on our calendar...but 'me' time is even more important than most of what we put on our to-do list. So, I'm making a commitment to myself when I'm back in Charleston: one hour each week of total inward escape. I'm booking a month ahead to be sure! Our body has the ability to recharge quickly if we remember to nurture ourselves. Just 60 minutes to reflect, detox or beautify gives powerful health-promoting experiences and makes us more productive when we return to the busy-ness of life. The healing powers of touch therapy, like Reiki and massage, has benefits that go beyond the realm of the physical. Our mind and soul need this respite also. I hope you are taking time to nurture yourself. The good vibes and also the not-so-good vibes connect us all. A commitment to personal health and wellbeing, creates positive energy to share with family and community. Be good to yourself and spread the love! 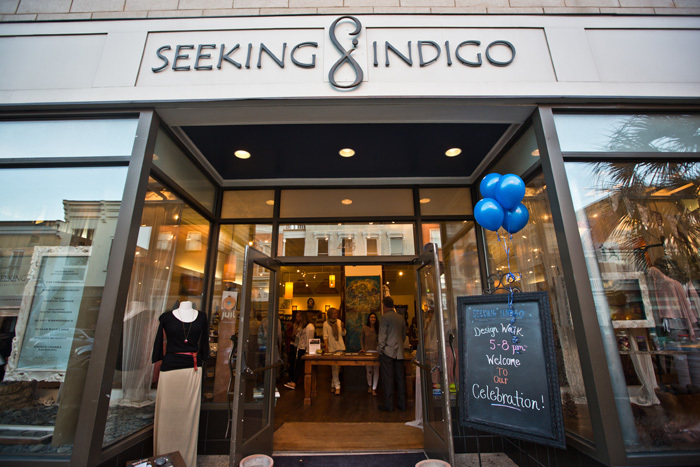 Stop by Seeking Indigo during Design Walk Thursday night, April 17 from 6 - 8pm. Sip and stroll and soothe your soul: walk through the peaceful space of our 4000 square foot healing center behind the massive teak doors in the back. Relax on the Amethyst Biomat or increase your micro-circulation by up to 30% with a session on the new BEMER (Bio Electromagnetic Energy Regulation). Used by doctors in Europe, professional athletes, and over a million people worldwide, this vascular therapy has many benefits. One 8 minute treatment increases circulation for 16 hours. April Escape on King Street! This month, we are upgrading every massage with Jo or Ian. You receive a free BEMER treatment before your massage — it's a great way to prepare your body for maximum benefit during your session and only takes 8 minutes. Increased circulation means increased detoxing and healing! 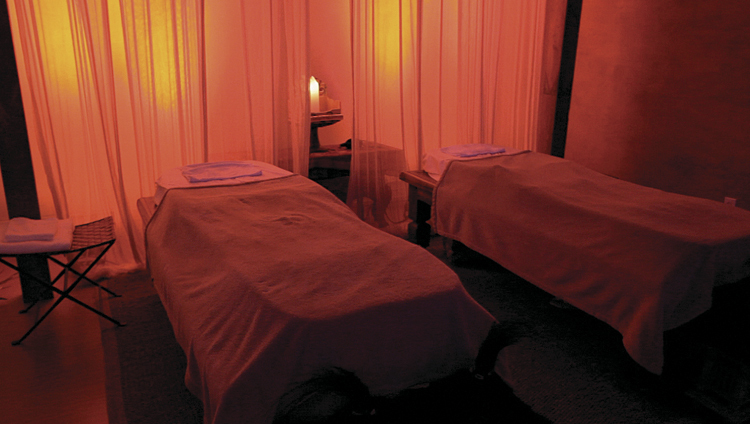 • Extra 'Me-time': add a relaxing 30 minute Amethyst Biomat treatment for only $20. Call 843.725.0217 to schedule your service now. Appointments for this April 2014 Escape on King Street are going fast! REGISTER TO WIN ONE MASSAGE PER WEEK FOR A YEAR! Stop by Seeking Indigo during Design Walk to register for our free drawing for healing services - you could win a Migun Massage every week for a year! WOW! Interested in knowing more about microcirculation and how the new BEMER technology can help you and your family? Seeking Indigo hosts a BEMER Sampler night each month for our community, which includes a presentation about its uses, benefits and success stories. Register for free on our event calendar. Try before you buy — Lease a BEMER for use at home for 8 weeks without obligation. All events and happenings at Seeking Indigo are posted on the online calendar on our website. There you can learn about yoga & meditation classes, Thursday Night Wellness Samplers, House of Colour workshops, and other special events. Parking available at metered spots along King St. and Radcliffe St., at the Frances Marion Hotel parking deck 1 block down King Street at Calhoun, or at the Visitor Center Parking garage (Corner of Ann and Meeting Streets, a 3 minute stress-relieving walk through our beautiful city). Location of Visitor Center Parking garage and walking directions. It's so good to be back in this beautiful land. Traveling the back roads of Bali this month with my design assistant looking for the most unique treasures and inspiration for our new clothing collection, we are drawn to explore the unknown. Each day Bali brings unexpected gifts: a delicious fresh young coconut from an old Balinese man on a long hot walk through the rice paddies or a spontaneous encounter with a spiritual healer, appearing as if he has walked the earth for a hundred years. One of my favorite rituals here is the beautiful mandalas made of luscious fragrant flowers, a tradition we integrated into our daily routine at Seeking Indigo. Each time I come back to Bali, I am more filled up...more alive...more inspired...and more whole. On my first trip to Bali almost 20 years I began my seeking journey. Starting my walk down a dirt road one morning, magical sounds of wind chimes far away summoned me into the distance. With every step, the sounds grew more beautiful and more distinct, finally clinking so loudly that I could not hear my own voice. As thunder rolled across the dark sky, I realized these wooden chimes had actually brought me to a safe refuge just before the monsoon began. 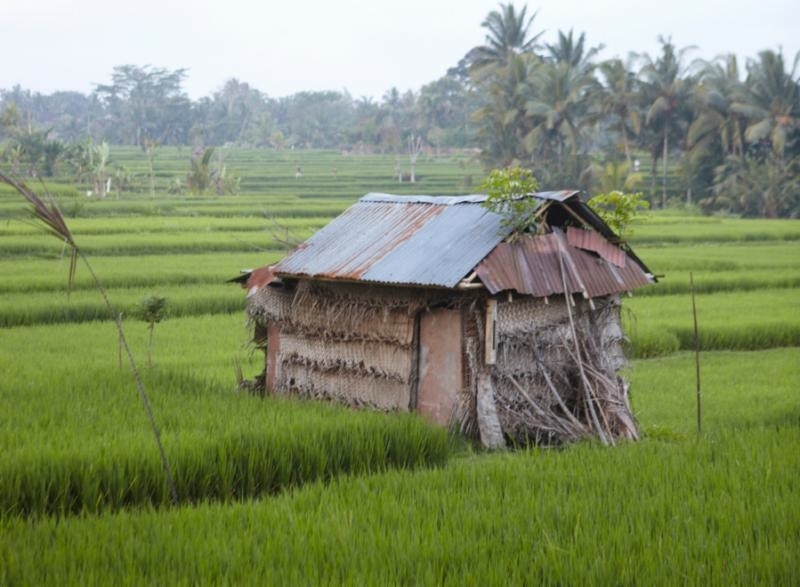 There I sat for hours in the tiny hut as the rain poured down, staring across the rice fields in complete awe, knowing I was being protected at a time when I was at the end of my road...literally. In that moment in Bali, I embarked on a new journey of self discovery that would change my life forever. The synchronicities that occur every day in Bali are a reminder that by surrendering to the magic of the unknown, I am supported in ways that I could never imagine. I call Bali my vortex of possibility, and it is here that I feel most inspired and most at home. Seeking Indigo was created as a refuge for the soul and a safe space where others could experience their own self discovery, just as that tiny hut did for me so many years ago. Every time I walk through the massive teak doors leading into our healing sanctuary, I re-experience Bali, feeling a little more relaxed and always grateful for the beautiful land that inspired my journey! 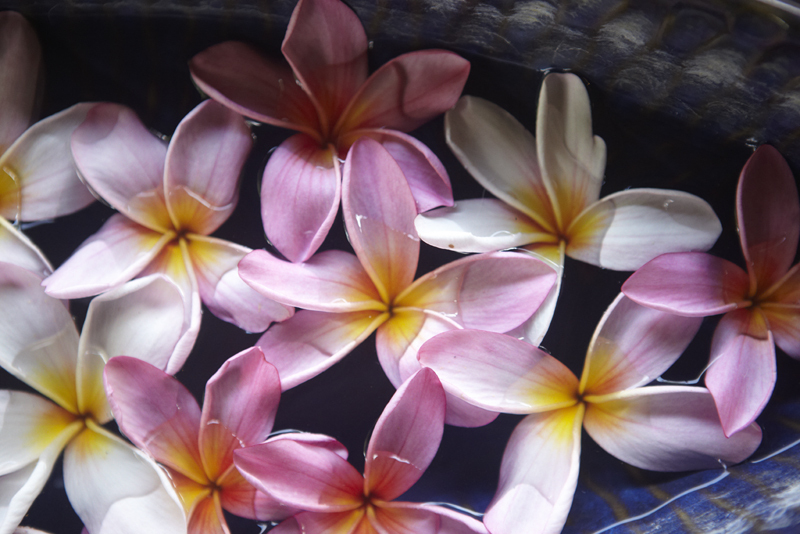 Experience a little gift of Bali in your own backyard. One step through the doors of our wellness center and you will feel as if you are transported to the magical land of Bali and your stress will begin to melt away. Email wellness@seekingindigo.com for your complimentary wellness assessment this month and receive a discounted package for your personal rejuvenation. Enjoy! Events and happenings at Seeking Indigo are posted on the online calendar on our website. There you can learn about yoga & meditation classes, Thursday Night Wellness Samplers, House of Colour workshops, and other special events.